Colin Baker (The Doctor), George Sear (Mathew Sharpe), Matthew Holness (Eric Drazen), Susie Riddell (Esther Brak), Ruth Sears (Willoway), Jonathan Christie (Captain Schumer), Anna Barry (Juniper Hartigan), Dan March (Varian). Other parts played by members of the cast. Slightly gutted. I’d prefer if it was a six and Mel story can’t keep up with his ever changing line up of companions. 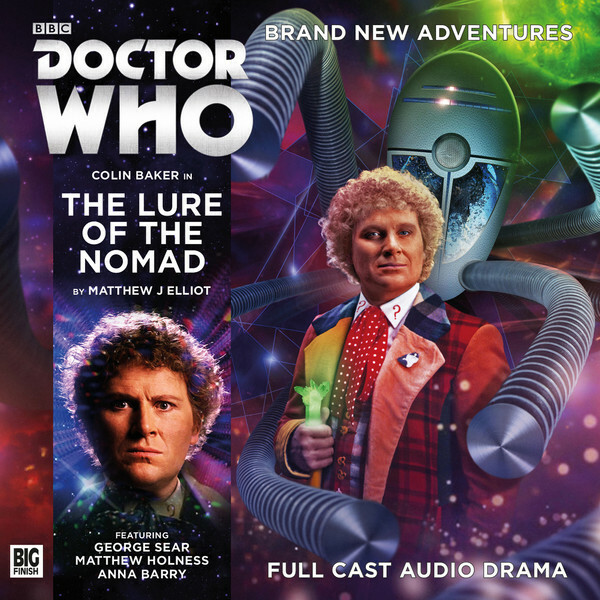 Good to see a new male companion and interacting with great Colin Baker who is brilliant in these big finish releases. Looking forward to this. I’ve got a gut feeling that he won’t be sticking around beyond this one story.